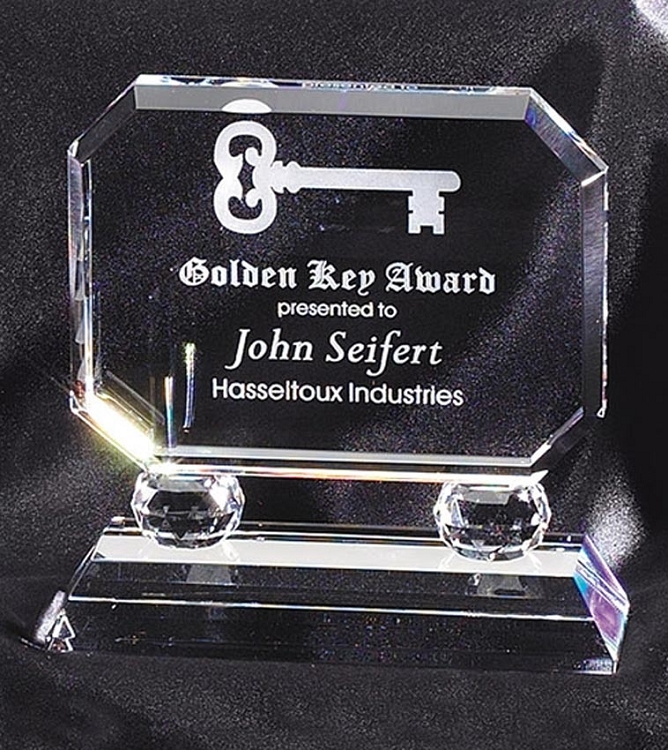 Optical Crystal Cut-Corner Award 6" x 5 1/2" What a simple yet elegant crystal gift, perfect for showing appreciation for hard work and excellence in the work force! Free engraving. Clear crystal base. Crystal is in four-corner cut rectangular shape, on top of two round crystal knobs. NICE! !